IFSEC International 2018 will play host to a dedicated learning and demonstration area, where visitors will benefit from a real-time immersive experience of integrated physical and cyber security. Networked systems and applied technologies are presenting security management professionals with rising levels of information outputs and data, which are rapidly becoming core aspects of their business strategies. The business intelligence available from this deepening level of integration is now a core competency, providing commercial, industrial and government users with unparalleled levels of insight. However, these systems also represent major security vulnerabilities; the nature of their networked capabilities means there is a strengthening need for higher levels of understanding and vigilance in combating threats to information security. It’s a simple equation: greater complexity of technologies will lead to greater threats. This is where IFSEC, Vidsys and their partners can provide the solutions. In this new world of converged security networks and information software, IFSEC is pleased to announce the introduction of the Converged Security Centre at this year’s show, taking place at London’s ExCeL from 19th-21st June. IFSEC has worked closely with key thought leaders in this space, including James Willison, Founder, Unified Security Ltd, and Sarb Sembhi CISO, Virtually Informed Ltd. Together they have long advocated the use of converged technological solutions managed by cross-functional security teams to identify and mitigate security risks to organisations. In the development of the centre, IFSEC and Unified Security recognised the capabilities of Vidsys’ CSIM solution and their partners. 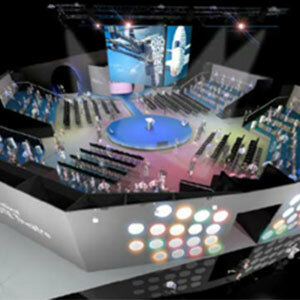 The Converged Security Centre will be powered by the experts at Vidsys, the pioneering architects of Converged Security and Information Management (CSIM), to offer visitors a real-time immersive experience of an integrated cyber physical SOC, demonstrating ways to enable multi-disciplinary security teams to respond to the whole range of security risks across an enterprise. The Converged Security Centre will be a combined learning and demonstration area hosted by Vidsys, Unified Security Ltd and their partners’ representatives, delivering a series of panel discussions with leading Information and Physical security professionals on the exceptional capabilities of a fully integrated CSIM platform. Visitors will learn how, with a fully converged security system, users can correlate multiple events into one situation, track major assets, execute efficient building management operations, monitor social networks, and most importantly enable high level information security resilience for true situation management. The presentations will show the simulated outputs of CSIM across a range of applications including transport, utilities and infrastructure and discuss how these benefit all areas of security management. IFSEC visitors will be able to see how CSIM operates in real-time and ask the experts from Vidsys, Unified Security Ltd and their partners how this will empower their future security strategies. The Converged Security Centre will also display capabilities from a selected range of Vidsys partners. These include IFSEC premier partner Axis Communications, whose expertise in IP networked surveillance is acknowledged worldwide; Unisys, which provides expertise and guidance on cyber and information security; and Micro Focus International, who will be demonstrating how IDOL, an AI powered analytics platform for video, image, text and audio data, can automate real-time 3600 intelligence for security operators. The Converged Security Centre is a cornerstone feature in IFSEC’s role as a platform to show security professionals the available technologies and capabilities in real-time, delivered by world leading experts whose solutions they can trust. It is also a key part of the IFSEC ‘Show Me How’ programme, providing direct access to learning and insights visitors would otherwise not have the opportunity to see. IFSEC International 2018 takes place 19th-21st June at ExCeL London, running alongside FIREX, Safety & Health Expo, Facilities Show and Field Service Management Expo. Secure your place at IFSEC today for access to dedicated learning areas like the Converged Security Centre powered by Vidsys, as well as exhibitors, product demonstrations and inspirational speakers across all shows. IFSEC International, which is run by the same group – UBM – that owns IFSEC Global, is Europe’s leading security event and the only place that brings together stakeholders from every role within security across every industry. IFSEC is the platform for the modern security professional to witness and showcase innovation and ignite collaboration in order to tackle the world’s most significant challenge. There is no agenda more critical today than security. Whatever your role within the industry, you have a part to play and IFSEC International is your arena. Get hands on with the integrated security solutions of the future, with more than 10,000 solutions on show from over 600 suppliers, offering exclusive show pricing, spanning security’s global technology leaders to pioneering tech innovators. But so much more than just a trade-show, IFSEC 2018 and the keynote arena will be home to the global security conversation. Share your voice in the critical discussions, hear first-hand from strategic global leaders, and discover how your peers are pioneering security best-practice.